Alphabet Inc.’s Google reclaimed its spot on Tuesday as the default search engine on Internet browser Firefox, by Mozilla Corp, for the U.S. and other regions. The decision by Mozilla shocked Yahoo, now owned by Verizon Communications, when it canceled their deal. The moved was confirmed by Google, but it declined, as did Mozilla, to disclose terms of revenue-sharing for the multiyear accord. The increased spending by Google to the default search provider for devices and apps like Apple’s iPhone has caused major concern amongst investors. Google will be the default search provider for Firefox on desktop as well as mobile for the United States, Canada, Taiwan, and Hong Kong, said the chief legal and business officer at Mozilla. 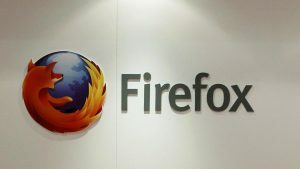 The officer said Mozilla’s decision had been based upon several factors including what was best for their brand, its effort to provide a top quality web search as well as a broader content experience for its users. Mozilla added that they believed there exist opportunities as well with Verizon and Oath outside search. Yahoo was Firefox’s default in the U.S., Taiwan, and Hong Kong. Firefox did not have any official partner prior to now in Canada. Verizon told media that Mozilla terminating its agreement with Yahoo had caught the company off guard. A spokesperson for Verizon said that the company was surprised Mozilla opted to take a different path, and talks are taking place now with regard to the terms of the current agreement. The switch in search providers came just as an announcement was made by Mozilla of Firefox Quantum, its new faster version of its browser that the company said was 30% lighter than was Google Chrome in that less computer memory is used by the browser. For more than ten years until 2014, Google was the worldwide Firefox search provider. Google at that time remained as the default search provider in Europe, while rivals like Yahoo, Yandex from Russia and Baidu in China replaced Google elsewhere. Former CEO at Yahoo Marissa Mayer won a contract for five years in 2014 with Mozilla when Firefox and Chrome browser had a battle going on to win users. The market share in the U.S. for Chrome has doubled since then to over 60%, according to StatCounter an analytics provider with Mozilla, Apple and Microsoft browsers holding the rest. In 2015, Yahoo paid $375 million to Mozilla and said it would pay the same or more annually through 2019, show regulatory filings.